Active Lives is a long established centre in East Kent and our aim has always been to provide our Students with enriching life experiences through our wide ranging programmes of vocational and educational training. Our own employment training website www.shopfromapound.co.uk is established with over 2400 orders now dispatched and our students with support from our staff maintain this part of our organisation. Active Lives now hosts the DPG (District Partnership Group) meetings at our Centre and these are a great opportunity for people to engage and obtain useful information from other agencies and groups. 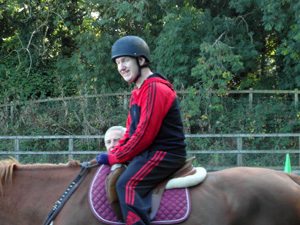 We welcome adults with special needs both learning and physical from the Kent area and are committed to providing an exciting and friendly environment in which our students can develop. All our staff undergo continuous training both internal and external. One of our major training providers is the Care Skill Academy a training provider endorsed by Skills For Care. Visits to our centre can be arranged for visitors who would like to explore what we are able to offer students enrolling at Active Lives and we also run annual events to which members of the public are welcome. If you would like more information about Active Lives please do contact us through our Contact page.